"A unique action packed game." 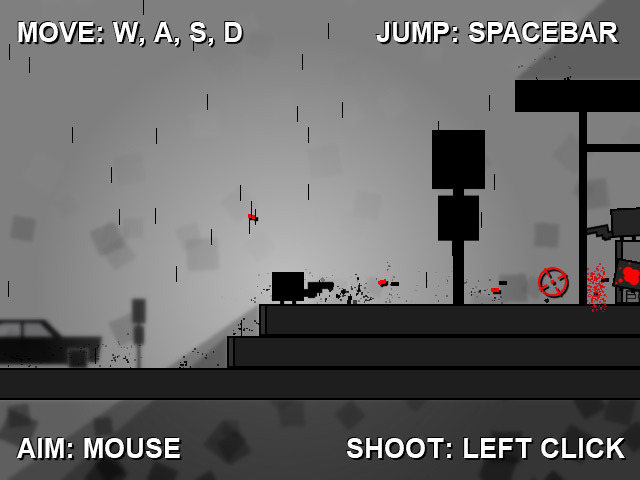 Moonlight Sonata is an action packed games that is played between blocks, yes that’s right blocks, as in the sort of rectangular/square shapes, the blocks are from Blocksylvania and you as a block yourself must fight off other blocks for your liberation and freedom! 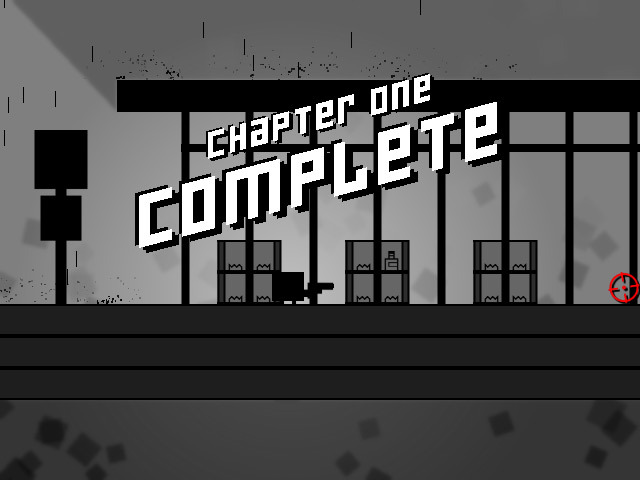 The game itself is a lot of fun and action packed although surreal and bizarre at the same time, it is also quite challenging and it will only take a couple of bullets in your block (that’s as in your character in the game not as in your head!) and it’s game over. 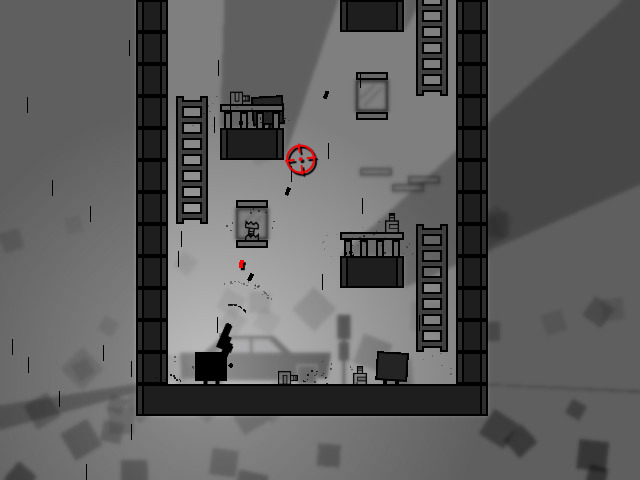 With a black and white black ground it almost has a noir feeling to the game and as you progress things will get harder as you will need to learn to use ladders and timing your jumps so that you move vertically upwards, all the time with a hailstorm of bullets being rained down on you. If you ever want to reach your liberation you will need to get the hang or jumping out of the way of bullets whicslt acrobatically making your way through the levels. A unique, interesting and somewhat different type of action game. You can download Moonlight Sonata here for free.